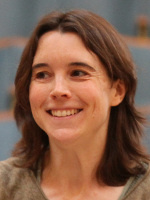 Angela Kay studied at Nottingham College of Education, now Nottingham Trent University, and has been involved with the choral life of Nottinghamshire for most of her professional life. After giving up her post as head of music at a comprehensive school in 1980 to raise a family, Angela formed the Nottingham Choral Trust (now Music for Everyone) and has continued to develop it by working with enthusiasm and imagination as its Artistic Director. Originally known in Nottingham as a mezzo soprano soloist, Angela’s career developed first into choral and then into orchestral conducting. She has conducted many of the major works from the choral repertoire to critical acclaim, including Brahms’ Requiem, Bernstein’s Chichester Psalms, Vaughan Williams’ Sea Symphony, Orff’s Carmina Burana and Bach’s St Matthew Passion. In July 2003, Angela received an honorary Masters degree from Nottingham Trent University in recognition of her services to Music Education. Most recently, Angela was awarded an MBE in the 2014 New Year Honours list for services to music in Nottinghamshire and in 2015 was awarded the Lady Hilary Groves Prize by the national music organisation, Making Music. This prize is awarded to one individual each year for their outstanding contribution to music making in their local community. Victoria is a pianist, horn player, saxophonist and singer. She was educated at Clarendon College and went on to study music at Newcastle and Huddersfield Universities. From 1995 to 2011, Victoria worked in education and was Director of Music, at St Mary’s RC High School, Chesterfield and Assistant Conductor of the Derbyshire Youth Chorale. During this time she toured Japan, Italy, Austria and America. She was the Musical Director of Cranwell Military Wives Choir until 2015 with whom she worked on the BBC’s Beechy Boys project. Victoria was Musical Director for Radcliffe Male Voice Choir from June 2011 until 2016. In October 2016 the choir took part in the 25th London Welsh Festival of Male Choirs at London’s Royal Albert Hall, where Victoria became the first female guest conductor to take to the podium in its 50 year history. Currently Victoria works with South Nottinghamshire’s Men’s Chorus, Lyrical soNGBirds and works for the Derbyshire Music Partnership. Victoria also performs semi-professionally with a small female choral group called Quadravox. Alison is a music graduate of the University of York and completed a PGCE course at the University of Reading specialising in music education for Early Years pupils. She is now a part-time teacher of Key Stage 2 pupils at St Peter’s Primary School, Ruddington and spends the rest of the time looking after her little boys! Alison has sung in various choirs, plays cello in the Nottingham Symphony Orchestra and took part in the very first youth choir course in 1988! Pip has sung in a number of chamber choirs, performing in and around the Nottingham area. 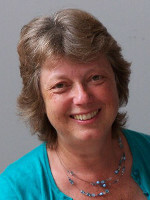 She has taught in Nottingham for over 35 years, rehearsing Senior School choirs and vocal ensembles. In the early days of Music for Everyone, Pip also worked with the under 18s on their weekend Choral Trust courses. Amy gained a first class BA Honours degree in music from York St John University in 2013, before coming back to Derbyshire to work with the Derby and Derbyshire Music Partnership as an accredited peripatetic woodwind teacher. Amy is also an ensemble director at South East Derbyshire Music Centre. Amy has directed big bands at university and plays clarinet and saxophone in a variety of ensembles and groups across Derby and Nottingham. Andy studied Music Composition at Coventry University, and is an accomplished Singer, Pianist, Guitarist and Drummer. He has led community music groups for a number of years and currently co-leads the Junior Choir alongside his other role of teaching instrumental lessons and leading choirs as part of the Nottinghamshire Music Service. As a songwriter, Andy has had songs published and released on a Christian record label, and has played at large church events across the country. Andy is very familiar with Music for Everyone as he grew up attending and performing at Vocals, Bandwise and Stringwise during his childhood. He’s passionate about seeing the next generation develop a love of music, and is very pleased to be a part of the MfE team. 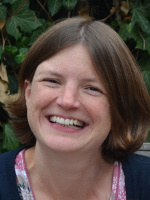 Gill studied music at the University of Birmingham and has over 15 years’ experience of teaching music and conducting youth music groups in secondary schools in the Nottingham area. She is the principal wind band animateur for Music for Everyone, conducting Nottingham Youth Band, and delivering and developing opportunities for young and adult wind players. Gill is an accomplished performer on clarinet, as Orchestra Leader of Nottingham Symphonic Wind Orchestra, and in the Nottingham Philharmonic Orchestra. She also teaches clarinet, piano, saxophone, flute and music theory. 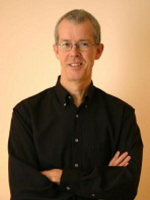 Richard has conducted Manchester Camerata, the Ulster Orchestra, Royal Liverpool Philharmonic Orchestra, the London, Scottish and Manchester Concert Orchestras and, from the violin, has directed Manchester Camerata and the Scottish Chamber Orchestra. He conducts/directs his own orchestra, Manchester Sinfonia. In 2010 Richard travelled to Jordan to work with the Amman Symphony Orchestra. Kerry was educated in Nottinghamshire (her first flute lesson was actually with Angela Kay in 1975!) and fortunate enough to benefit from a special tuition place through the Nottinghamshire County Music Services, under the tuition of Viola Calthrop-Owen. This led to playing in the youth bands and orchestras at a time when international tours provided extensive opportunities to work and perform under conductors including Christopher Adey and Lt. Colonel George Evans from Kneller Hall. Kerry then studied with Douglas Townsend at the Welsh College of Music and Drama, Cardiff, going on to Rolle College, Exmouth to gain a PGCE. Kerry has lived in North Yorkshire, Nottinghamshire and Derbyshire bringing up 3 children whilst teaching, performing and supporting the educational and musical activities for children and adults with “Music For Everyone” organisation since 1995. Teaching positions ranged from The Elms, Junior school to Trent College, Michael House Steiner School and Nottingham University BlowSoc society. Performance opportunities include “Quintessence” Wind Quintet, “Flute finesse” flute duo with Alison Madin, Nottingham Philharmonic Orchestra, English Philharmonic Orchestra and Nottingham Bach Society. Kerry has performed Cimarosa’s Double Flute Concerto alongside Alison Madin for Derby Concert Orchestra and Bach’s Brandenburg Concerto with Music For Everyone’s Chamber Orchestra. Kerry also sings with the acapella choir Choros Amici enjoying the challenge of national and international competition singing. In 2006 Kerry undertook 3 years of study at Sheffield Hallam University to retrain as an Occupational Therapist and now works for Nottinghamshire Hospice. Kerry attends a local Church and has an allotment to fill any spare time not spent with her family! 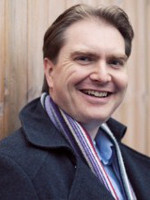 James was appointed as our Principal Guest Conductor in September 2009. Prizewinner in international conducting competitions, James Lowe’s work as Artistic Director of the Hallé Harmony Youth Orchestra featured in Orchestra United, a four-part documentary shown on Channel 4 last year. Lowe is Artistic Director of the New Bristol Sinfonia, Principal Conductor of the Edinburgh Contemporary Music Ensemble, Principal Guest Conductor of Music for Everyone, and held the position of Associate Conductor of the Royal Scottish National Orchestra. Educated at the University of Edinburgh, Lowe continued his development as Benjamin Zander Conducting Fellow with the Boston Philharmonic, and has studied with leading conductors in master classes, including Jorma Panula, Neeme Järvi, with Valery Gergiev and with Bernard Haitink, who has recently invited him to work as his assistant with the Concertgebouw Orchestra in Amsterdam this May. One of two prizewinners in the Tokyo International Competition for Conductors and special prize winner in the Jorma Panula International Competition, he has appeared in performance with the Osaka and Tokyo Philharmonic Orchestras, the Residentie Orkest Den Haag, the Trondheim Symphony Orchestra, the Moscow Chamber Orchestra, the St. Petersburg Academic Symphony Orchestra, the National Arts Centre Orchestra of Canada, the New Japan Philharmonic, the Indianapolis Symphony Orchestra, the Hallé Orchestra, the BBC Philharmonic, Scottish Ballet, the orchestra of Welsh National Opera and the Scottish Chamber Orchestra, as well as working with numerous other ensembles in many European countries, South Africa and the USA. In addition to Orchestra United, James Lowe will feature in The Interpreters, a German film following three young conductors. He lives in Edinburgh and Berlin. Ellie began her musical training at a young age, learning the violin and piano, before late focusing on singing. She went on to study Vocal Performance at Trinity College of Music, and graduated in 2010 with First Class Honours. Ellie has extensive experience as a singing teacher and vocal animateur, and for several years was the Vocal Coordinator for the London Borough of Bexley, a role in which she directed choirs from age 4 to adult, and conducted a massed choir of over 1000 in the Royal Festival Hall on several occasions. Ellie conducts several choirs for Music for Everyone, and is also the Youth Choir Director at Nottingham Cathedral and Musical Director for Mansfield Choral Society. Aside from her conducting work, Ellie is a professional singer, and member of London-based choir Blossom Street. She features as a soloist, as well as part of the ensemble, on Sleep, Holy Babe, Down by the Sea and A Short While for Dreaming, three CDs released by the choir, which have all received critical acclaim. Ellie is orginally from South-East London, but moved to Nottingham in 2016 to undertake a master’s degree in Psychology at Nottingham Trent University, which she recently completed, gaining Distinction. She is passionate about making choral singing inclusive and enjoyable, and is hoping to use her Psychology master’s to investigate further the link between singing in choirs and mental health. Alex Patterson is a Northern Irish-born composer and conductor based in Nottingham. 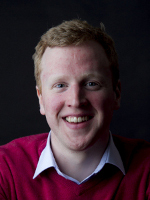 In addition to his role with Music for Everyone, he is also Director of Music at Nottingham (St Barnabas) Cathedral and Musical Director for the Radcliffe Ladies’ Choir. Alex studied at the University of Nottingham and later at Birmingham Conservatoire specialising in composition and opera. He has written a wealth of choral music which has been performed across the world and published by Banks Music Publications. Alex is in much demand as a choral animateur, particularly for community and youth music-making and regularly leads singing workshops across Nottinghamshire with people of all ages and abilities. He has conducted major works including Bernstein’s Chichester Psalms, Britten’s Noye’s Fludde, Mozart’s The Magic Flute, both Duruflé’s and Fauré’s Requiem and the musical thriller Sweeney Todd by Stephen Sondheim. Abigail was born in Nottingham and started learning the violin from the age of 9 which led to leading the Nottingham youth Orchestra. She studied at the Birmingham Conservatoire for five years with Jeremy Ballard and Jackie Ross achieving BA(Hons) and a Post Graduate in music performance. Abigail then pursued a freelance career and did extra work with City Of Birmingham Symphony Orchestra, Orchestra Of The Swan,ESO, Orchestra Da Camera, Opera North, Birmingham Royal Ballet, Castleward Opera Northern Ireland, D’oyly Carte Opera,And Toured with Barry Manilow and Chris De Burgh.She has led many amateur orchestras including BPO Birmingham sinfonia and Chandos Orchestra. She is currently the leader of the Nottingham Concert Orchestra, and a member of the Limelight Orchestra performing at corporate events. As well as performing Abigail has over 25 years experience teaching and coaching young string players in the private sector and state schools. Abigail returned to her home City of Nottingham and now puts most of her energy into coaching and nurturing local young musicians. She is currently the string teacher at Plumtree School, helps to run the Rushcliffe Junior Philharmonic Orchestra and has a private teaching practice in West Bridgford. She is very much looking forward to her new role as String Animateur with Music For Everyone.